Case solving is something most students are somehow familiar with. Maybe you have participated in a case event before or has been asked to solve a case while applying for a job, maybe you have heard other people talking about different cases and have understood that it is good to be familiar with in the future, or maybe you have no idea what a case is? Either way Lundaekonmerna offers you a chance to improve your case solving skills during this spring. 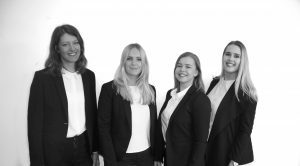 To learn more about this Lundtan has met with Filippa Lundqvist, the marketing coordinator for ÖLM. What is ÖLM and what do you committee do? 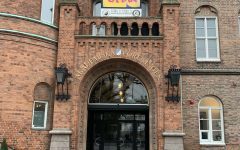 ÖLM stands for Öresund Linking Minds and is a case event that Lundaekonomerna has together with Copenhagen Business School and EY. CBS also has a collaboration with a Danish company Rambøll. Our job in the committee is to arrange the event together with the committee at CBS. 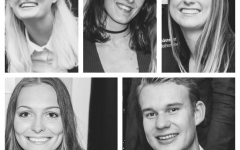 As I mentioned is ÖLM a case event that offers students at the Bachelor program in Business and Economics to learn how a case works, how to present a case that you have solved and networking with other students and companies. ÖLM includes four seminars where you will get to prepare for the competition. We will go through how a case is build and how to prepare the presentation. During the two case-days you will be divided into groups with 2 students from LUSEM and 2 students from CBS in each group. Then you will have about three hours to solve your case which is prepared by one of the companies. What is the collaboration with EY and CBS? EY is the sponsor from Sweden and will hold two of the four seminaries where one will be at their office in Malmö. 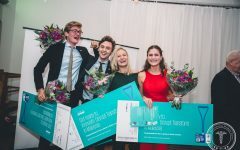 They also contribute with the case that students are supposed to solve the day when the competition is held in Lund. 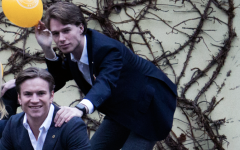 CBS has their own committee which will be in charge of one of the day in Copenhagen on the 3th of May. It is a collaboration where you will get the chance to mix students with other people you don´t know and practice your English. It is a great opportunity to mingle with students outside of Lund. How does a day at the case event look like? The day at Lund starts with a breakfast with all the participants from LUSEM and CBS which is 20 students from each school. EY will come and present the case and you will compete in the same team as you were in the day before. After the breakfast you have three hours to solve the case and then you will have an hour lunch. After the lunch you will be divided into two groups with five team in each group. Every team will present their case to a judge who is three people, one representative from EY, one teacher and one of the KICC-winners. The judge will name one winner from each group who then will compete in a final and then we will have one winner. The day ends with a banquet at Hallands followed by an afterparty together with all participants. Why would you recommend students to apply to be a part of ÖLM? It is a perfect chance to learn more about case solving and how to practice it as well as present it. To learn what is important to have in mind while working with a case. Case solving is a big part of future positions at jobs and it is common to have a case as part of the employment process. Together with LUSEM and CBS there is a lot of opportunities to mingle and networking. You also will learn what companies’ values and student from CBS values. There is good networking both socially and professionally for the future. And there is no previously experience required. This is an event for learning purpose for bachelor students. It does not matter if you are on your first semester or last, everybody is welcome. How do you apply to be apart of ÖLM? To apply you go in to Lundaekonomeras website lundaekonomerna.se/olm and click on apply. Then you will attach you CV and write a short motivation why you want to be a part of ÖLM and what you can offer. 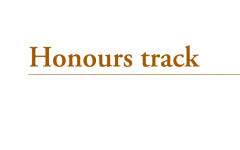 And the last day to apply is the 25th of March. What is important to have in mind? Students should not be afraid to apply, especially if you study at the first or second semester. There were students at the mingle who thought they could not apply since they only are on their first or second semester, but everybody can apply. There are preparing seminars, so you will feel comfortable with a case and everybody is in the same spot. This is an event for learning and everybody is equally new at case solving. 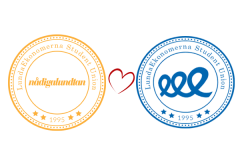 As long as you are a bachelor student and a member in Lundaekonomerna you are more than welcome to apply and be a part of Öresund Linking Minds. 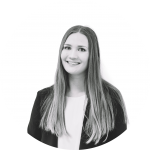 Öresund Linking Minds is a great opportunity to improve your case solving skills and as Filippa mentioned case solving will be very important while applying to your first job and further in your career. So, if you want to improve your case solving skills then do not miss out on being a part of Öresund Linking Minds the 2-3 of May 2018 and apply no later than the 25th of March.